That’s right; North Lake Tahoe resorts are opening now! A powerful early season storm blanketed the region with more than two feet of snow and it’s sticking around! Boreal Mountain Resort and Mt. Rose Ski Tahoe are already spinning lifts daily for skiing and riding. By Saturday Squaw Valley, Alpine Meadows and Northstar California will join the roster of open resorts. 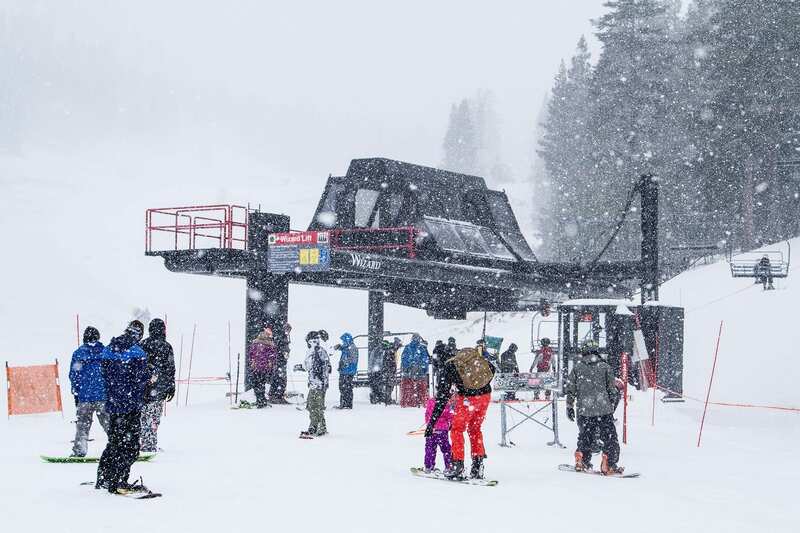 The recent snowstorms have entered the region consistently throughout the past week leaving most areas in the region with over two feet of snow, the most recent storm Monday night has left ski resorts with six to eight inches of powder. Cold weather conditions have allowed ski resorts to use snowmaking systems consistently bolstering snow pack and allowing for additional terrain to be opened. In addition to early resort openings, many resorts are offering special lift ticket pricing. Squaw Valley Alpine Meadows will host Squaw Valley Alpine Meadows Foundation (SAF) Scholarship Day November 14, during which the entire lift ticket cost, priced at $29, will be donated to ski team scholarship funding. Mt. Rose Ski Tahoe is offering lift tickets for $20. Lift tickets for Boreal start at $29 for night skiing. For more information visit: www.GoTahoeNorth.com. The post Two North Lake Tahoe Ski Resorts Open, Three to Join This Week appeared first on Go Tahoe North.